She was the daughter of the late Hershel and Cleo Vivian Lay Wilkinson and was a retired administrative assistant for FHA. She attended Watson's Chapel Christian Church. In addition to her parents, Alma was preceded in death by three brothers, Clarence Wilkinson, Leonard Wilkinson, and former Governor Wallace Wilkinson. Her husband, Larry Haggard, survives. Alma Lou Wilkinson Haggard of Liberty, KY passed away on Wednesday, May 2, 2018 at her home. Funeral services will be at 1pmCT/2pmET Sunday, May 6, 2018 at McKinney-Brown Funeral Home, 752 Campbellsville Street, Liberty, KY, with Bro. Sherman Floyd officiating. Burial will follow in Antioch Cemetery. Visitation will be held from 11amCT-1pmCT/12noonET-2pmET Sunday at the funeral home. Born June 21, 1945 in Casey County, KY, she was the daughter of the late Hershel and Cleo Vivian Lay Wilkinson. She passed away on Wednesday, May 2, 2018 at her home. She was 72 years of age. Alma was a retired administrative assistant for FHA. She attended Watson's Chapel Christian Church. Seven grandchildren and one great-grandchild. In addition to her parents, Alma was preceded in death by three brothers, Clarence Wilkinson, Leonard Wilkinson, and former Governor Wallace Wilkinson. 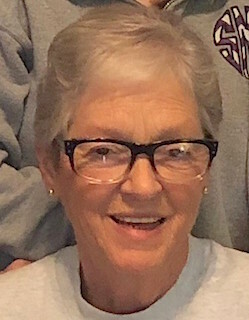 In lieu of flowers, the family request donations be made to Hospice of Lake Cumberland in Alma's memory: 100 Parkway Drive, Somerset, KY 42503. 2018-05-03 - Photo from family collection.